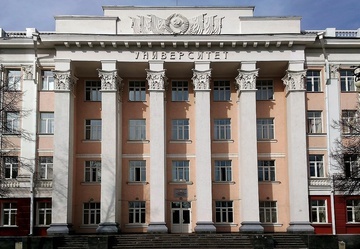 Altai State University has become one of the seven higher educational institutions of Russia, whose work as a federal innovation site has been recognized as the most effective. The university’s practice in the field of developing and introducing models of targeted work with talented students using the resources of the university as part of the additional education was highly appreciated by the professional community. “According to the results of the annual reports examination, Altai State University was included in the number of seven universities from among 37 higher education institutions that have the status of the Federal Innovation Platform, who presented the most effective models of innovation activity in the education system and successful practices. And now our practice is included in the all-Russian collection of effective models of innovation in the education system. Our forms of addressing work with talented young people can be used in practically any higher education institution or an additional education institution,” Elena N. Goncharova, Head of the Department for Prospective Students Recruitment, said . Apart from Altai State University, the top-7 list includes: Belgorod State National Research University, Tyumen State University, Kazan Innovative University, Siberian Federal University, Mordovia State Pedagogical Institute and Omsk State Technical University. According to the results of work for 2018, ASU has prolonged the status of a federal innovation platform for additional education of children for the next period. It is to be reminded that ASU obtained the status of the federal innovative platform for additional education of children in December 2015.